Are you having vegetarian guests coming over for dinner? Simply replace the bacon with some chopped chestnut! Very delicious, don’t forget to add some salt instead of the bacon! TRIM the ends from the Brussels sprouts, remove the outer leaves and cut in halves. PEEL and slice the shallot into half rings. HEAT olive oil in the heavy-bottomed pan. 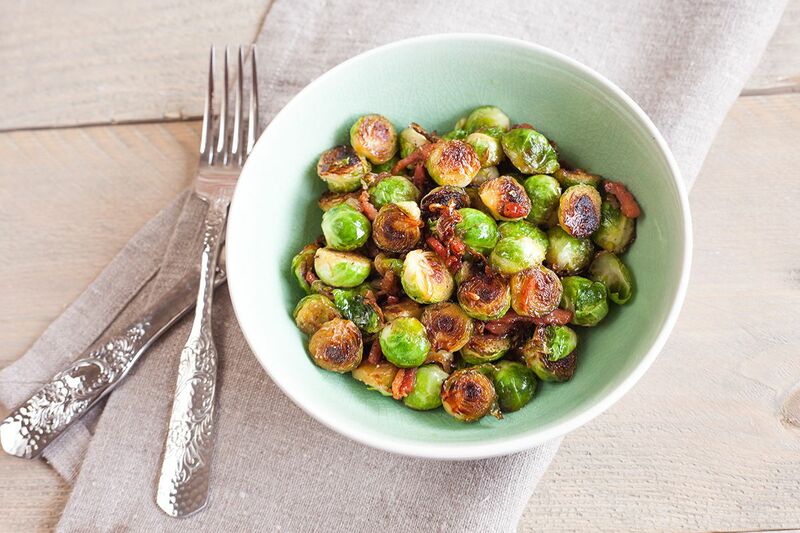 PLACE the Brussels sprouts – sliced side down – in the casserole. Do not stir them at first. STIR them after about 2 to 3 minutes, or until golden brown. 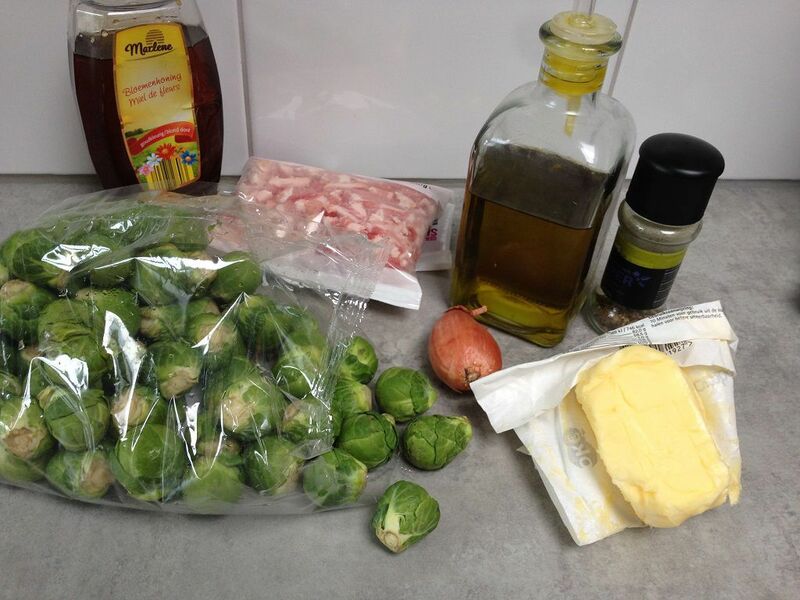 If the casserole isn’t large enough, you can make the Brussels sprouts in two batches. HEAT the small skillet and toss in the bacon strips. BAKE them for a few minutes and then add the sliced shallot. 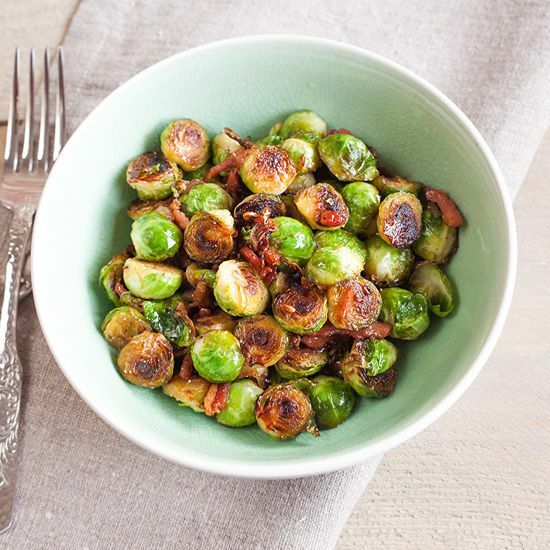 POUR the honey over the golden brown Brussels sprouts, just enough to fully coat them. ADD the butter and finally MIX in the bacon and shallot. 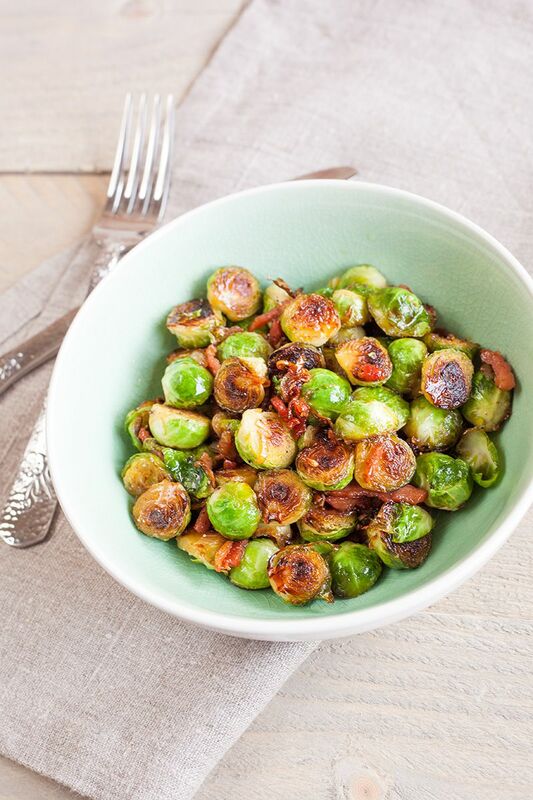 Season with pepper, its probably unnecessary to add extra salt since the bacon makes this dish quite salty enough.